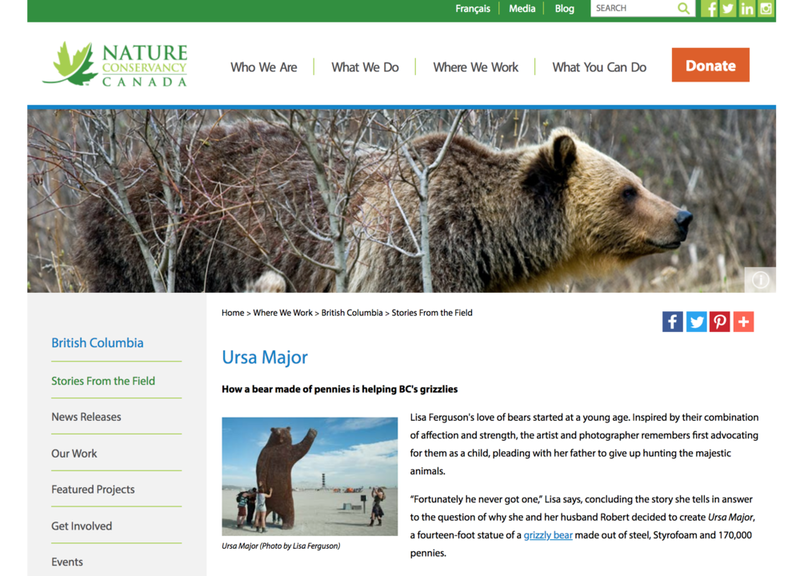 From the sale of Ursa Major, we were able to reinvest the pennies donated to our project and turn them into supporting grizzly bear habitat. Through consultation with a friend who is a Parks Canada ranger, he suggested we contact the Nature Conservancy of Canada, whom he believes does meaningful work. With matching grants from Canadian and US governments our $2,000 donation was matched up to $8,000. Thank you to everyone who donated pennies to the Ursa Major project, your pennies went a long way. Attached is a link to the story which The Nature Conservancy of Canada published about the donation.